Congress is Holding a Dam Debate in Pasco on Monday. PASCO, WA -- A U.S. House committee has announced the speakers invited to testify pro and con at a field hearing in Pasco organized to discuss the benefits of the Columbia and Snake River dams, and the challenges to their long-term viability. The House Natural Resources Committee will meet at 10 a.m. Monday at the Pasco City Hall Council Chambers. 525 N. Third Ave. The public is invited to watch, as space in the room permits, and can fill out comment cards. The hearing will be webcast at bit.ly/DamHearing. People also are invited to attend a community rally in support of the lower Snake River dams at 9:30 a.m. in front of Pasco City Hall. According to the Republican-controlled committee's hearing memo, dams along the Columbia and Snake River systems generate more than 60 percent of the Northwest's power and allow cargo transportation by barge, both of which significantly reduce greenhouse gas emissions in the region. A new environmental review has been underway since 2016 after U.S. District Judge Michael Simon found that not enough has been done to improve Northwest salmon runs. He ordered that the review consider tearing down the Snake River dams, among other options to protect salmon. McCoy Oatman, vice president of the Nez Perce Tribe, which relies on salmon as a traditional food. Glen Spain, northwest regional director of the Pacific Coast Federation of Fisherman's Association, a commercial fishing organization. But the hearing is likely to be dominated by testimony about the economic and other benefits to the Northwest region provided by the dams. Retired U.S. Rep. Doc Hastings, a Pasco Republican, who opposes dam breaching. Terry Flores, executive director of Northwest RiverPartners, an organization whose members include electric utilities, ports and agricultural organizations. Dan James, deputy administrator of the Bonneville Power Administration, the agency that markets wholesale electric hydropower. Kris Johnson, president of the Association of Washington Business. Rob Rich, vice president of marine services for Shaver Transportation, a Portland-based company using the Columbia and Snake River system. Jack Heffling, president of the United Power Trades Organization. Marci Green, president of the Washington Association of Wheat Growers, some of whose members barge wheat on the river system. As of Thursday, four U.S. representatives were expected to participate in the hearing -- Newhouse; Rep. Cathy McMorris-Rodgers, R-Wash.; Rep. Doug Lamborn, R-Colo., and Jenniffer Aydin Gonzalez Colon, R-Puerto Rico, a non-voting member of the House. 'Misguided movements continue to push for the destruction or degradation of our river power system and the many benefits both rural and urban communities on both sides of the Cascade Mountains receive,' Newhouse told Rob Bishop, chairman of the House Natural Resources Committee, in his request for the hearing. 'A field hearing would be beneficial to help educate Congress, and a national audience, while dispelling misinformation spread by these ill-advised efforts,' he said. 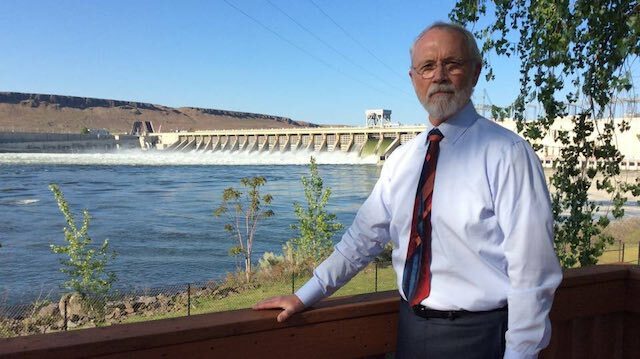 Newhouse told Bishop the benefits of the Columbia and Snake dams ranged from recreation to renewable, affordable power. He also said that the dams were responsible for the more than 100,000 regional jobs, a figure that environmentalists dispute. The figure comes from a study by Columbia River ports that identified 40,000 port-related Northwest jobs. In addition, firms that ship cargo on the Columbia River system employ an additional 59,000 workers annually, according to Northwest RiverPartners. Kelly Iriye of Dam Sense, an organization calling for the breaching of the lower Snake River Dams, said the figure seems unlikely, looking just at the four dams considered for breaching. She pointed out that the area along the lower Snake is largely rural, with only five communities with populations of more than 20,000. Chiara Rose D'Angelo-Patricio, Pacific Northwest field organizer for the Endangered Species Coalition, cited numbers from a 2002 environmental study by the Army Corps of Engineers looking at breaching the Snake River dams. The study said that in the short-term jobs would increase as major construction projects replaced power facilities and improved transportation systems if the dams are taken down. Long term, 1, 372 jobs could be lost, including agriculture, barging and cruise ship jobs, the study said.